No ice water for him. Nope...he's writing the check. You can watch the full video here on his Facebook wall. 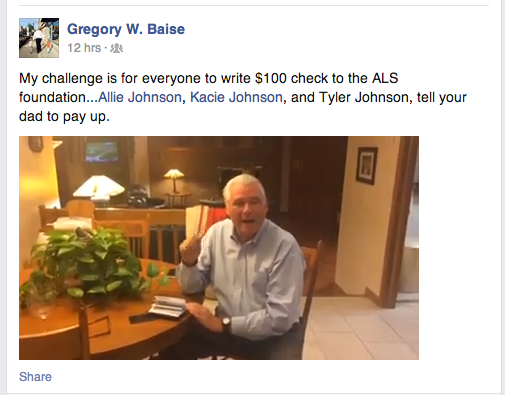 And...he's asking his friend to 'man up' and write a $300 check to ALS.